Students learn about the effect of geography on ancient Egyptian civilization. The main attention is given to the Nile River, whose flooding made the soil fertile and compensated for the absence of rain and the confining influence of the desert. Students learn how a climatic event at approximately 6000 B.C.E. 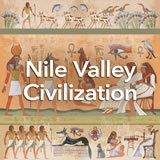 shrank the arable portion of the region and forced humans to settle close to the Nile. Finally, they read an ancient ‚ÄúHymn to the Nile‚Äù and collaborate to write verses of their own about the Nile. 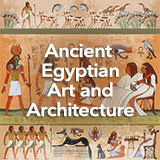 In this experience, students learn about the effect of geography on ancient Egyptian civilization. The main attention is given to the Nile River, whose flooding made the soil fertile and compensated for the absence of rain and the confining influence of the desert. Students learn how a climatic event at approximately 6000 B.C.E. shrank the arable portion of the region and forced humans to settle close to the Nile. Finally, they read an ancient “Hymn to the Nile” and collaborate to write verses of their own about the Nile. 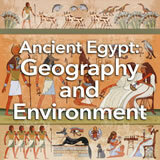 Locate and describe the physical geography of ancient Egypt. 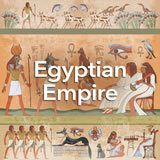 Identify the ways that geography influenced ancient Egypt. bordered by burning hot desert. called “lower” at its north end and “upper” at its south end. 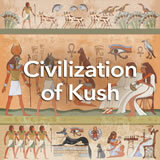 the source of countless benefits for the world’s oldest civilization. Did you guess that it’s the Nile River? 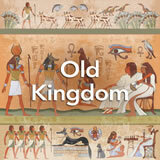 In this experience you’ll learn about the wonders of the Nile and other aspects of Egypt’s geography and environment. Discuss student responses. Possible entries include river, green land, desert, mountains, and seas. Based on the geographical features you noticed, what can you guess about that region? Discuss student responses and encourage them to test their ideas throughout the rest of the experience.